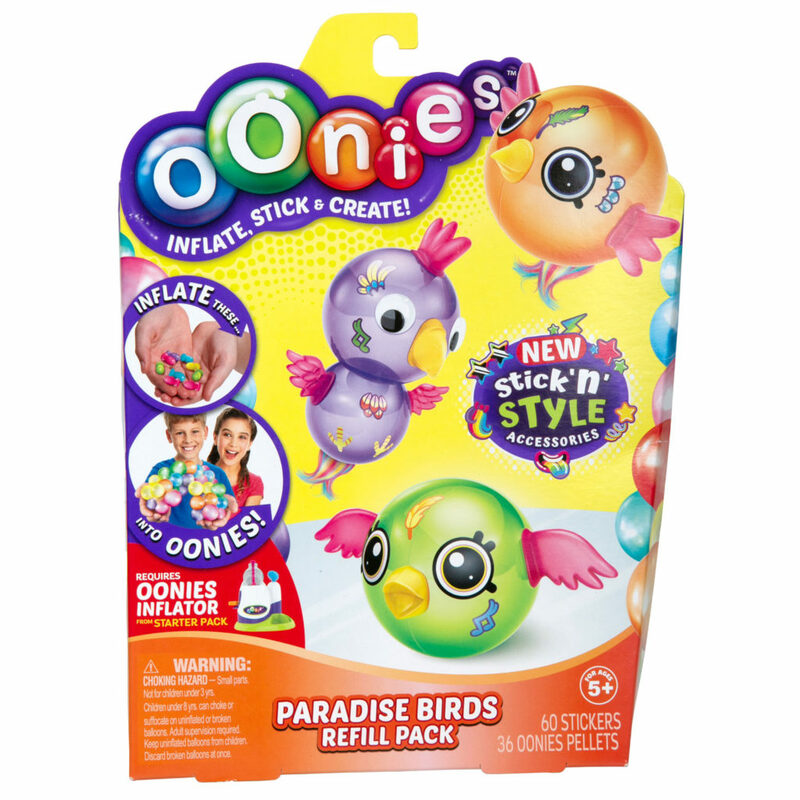 Create an Ooniverse of your creations! Take an Oonies pellet, place it in the inflator and watch it magically grow into an Oonie. 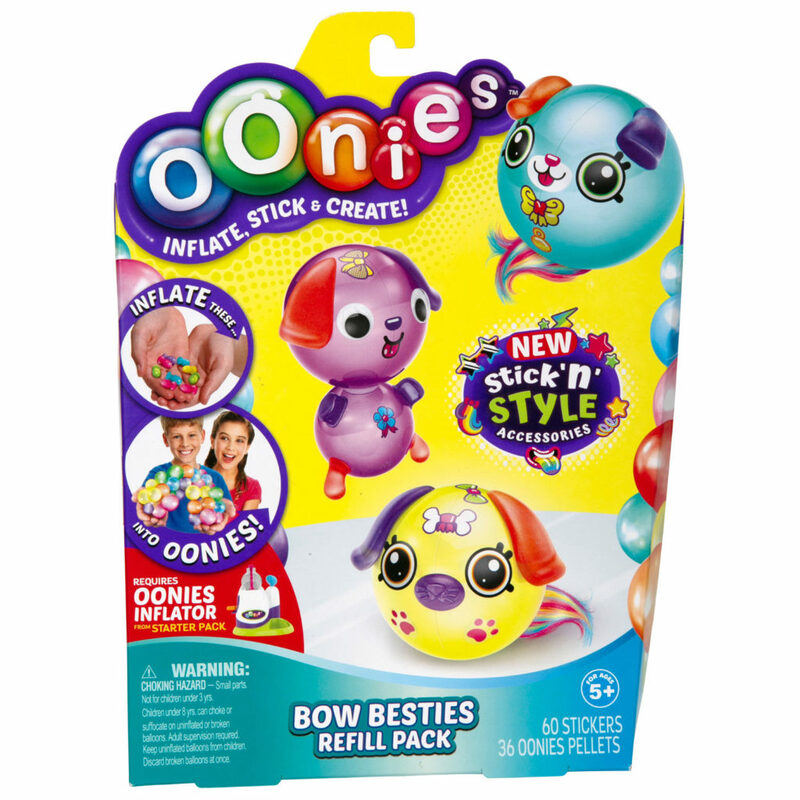 Inflate, stick and create using the new BOW BESTIES Them Pack with stick 'n' style accessories that create wild designs and characters. 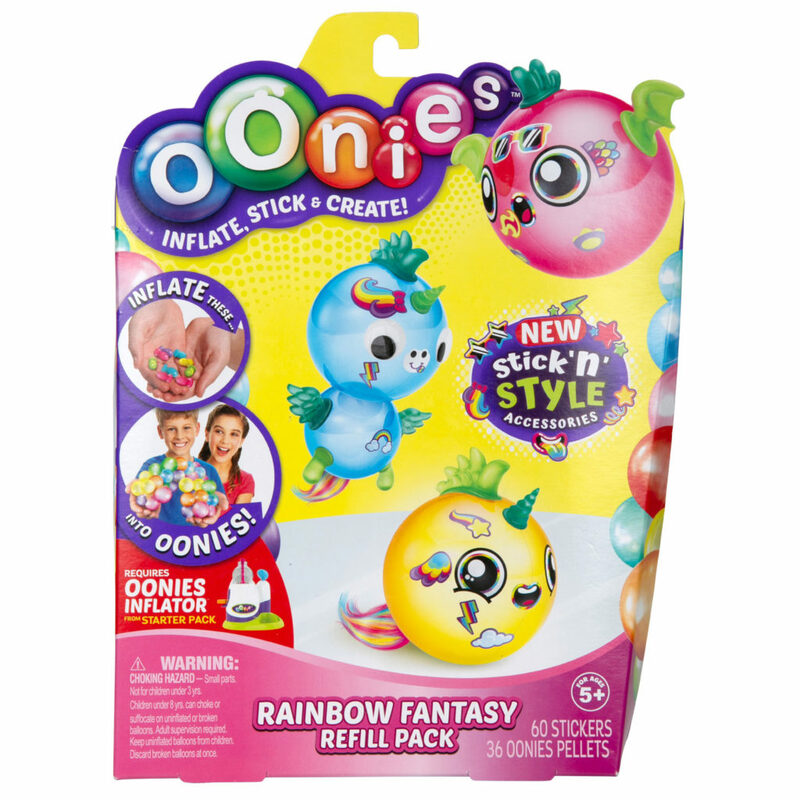 Make some of the cutest Oonies with a bunch of bows using the stick 'n' style accessories, which include googly eyes, hair, deco bits and sticker sheet so you can bring your creations to life!